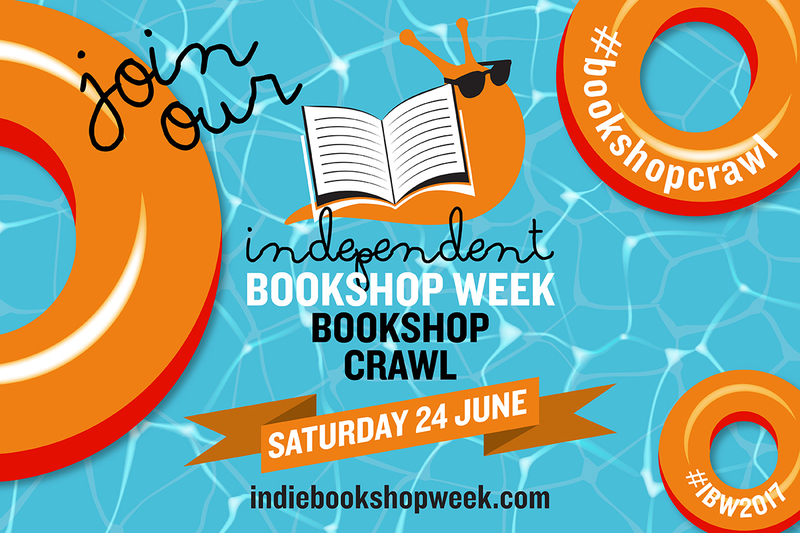 Tomorrow launches Independent Bookshop Week 2017, and I thought I'd do a quick round-up of 5 of my favourite indie bookshops for anyone looking for places to go on their #bookshopcrawl! 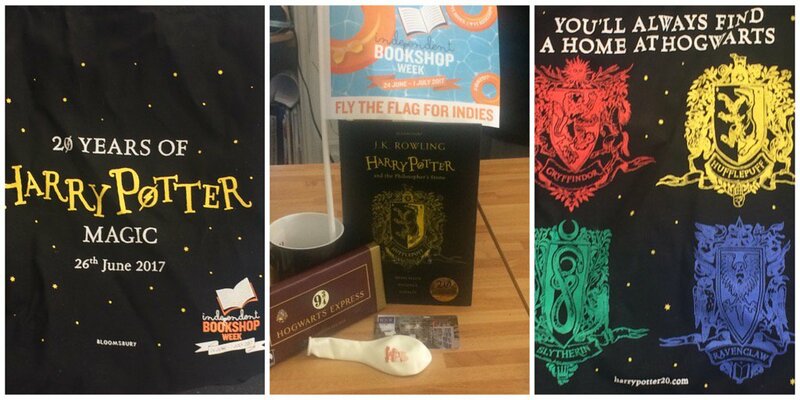 But first, a MASSIVE thank you to the lovely people at Books Are My Bag for sending the above swag package to me - how awesome is this?! I adore the Hufflepuff special edition of the Philosopher's Stone, but the (badly-photographed, sorry!) tote bag is stunning too. For more details of IBW and the bookshop crawl, check out their website. Tales on Moon Lane - as ever, I have to declare an interest as I do some work on website Teens on Moon Lane for them. Regardless, this is my favourite shop ever, with gorgeous window displays, a stunning selection of books (the children's non-fiction section is INCREDIBLE, in particular) and super-knowledgeable staff - everyone who works here is a massive fan of children's and YA books and it really makes a huge difference when you need help. If you are looking for a specialist kids/YA bookshop to spend some time in tomorrow, head over to Herne Hill! The Big Green Bookshop - Simon took the Twitter world by storm with his perfect winding-up of Piers Morgan earlier this year, and gained a ton of publicity for the shop in doing so. Both Simon and Tim are great guys who are a pleasure to talk to and give brilliant book recommendations and the selection at the shop is always really interesting - I especially like the variety you get on their display tables. Foyles Charing Cross Road - always well-stocked (including a fabulous selection of US imports), great displays and massively helpful staff - including wonderful blogger Jo, and soon-to-be published author Chloe Coles. The sheer size of the place and the range of books available is perhaps overwhelming at times, but there's always someone to help you find what you're looking for or recommend something you didn't know you needed. And lots of places to sit down and check out a first chapter too! Queen's Park Books - gorgeous place which hosts some fabulous events and has an incredible selection of books for a shop of its size. Laura, who runs their Twitter account, is especially fabulous (both online and offline) and there's an awesome US section here too. The Book Nook - moving outside of London, Hove's Book Nook is a must-visit if you're in the Brighton area. One of the most beautiful shops around, it has great staff and hosts some awesome events.